Have you ever thought about what it would be like to be the egg? There you are, sitting comfortably in your carton (or in the nest, if you are at Chanda’s house). Suddenly you are plucked from your safe little home and cracked open (not comfortable, do you follow?). Then you are whipped around in a bowl for a painfully long time until you look nothing like what you looked like before. You don’t even recognize yourself. Then you get a bunch of things thrown into your mix and you change form even further. A little sugar, a little cocoa, and suddenly things are looking a little nicer despite the pain you just went through. But then, into the oven you go! This process of preparation, you believe, will never end. The heat in there is terrible and you feel nothing else. Finally, you are pulled from the oven by the Master Chef, who has always had bigger and better plans for you than you could imagine. You imagined yourself an egg (shell, carton and all). 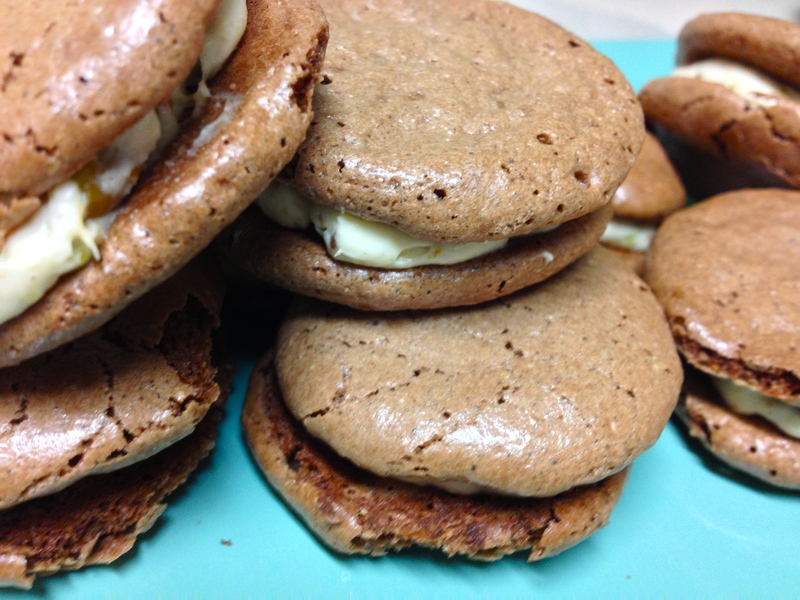 He saw you in the carton and imagined you a chocolate macaron. That preparation certainly wasn’t easy or pleasant at times. As the egg, I often fancy that I would prefer to be comfortable in my carton, regardless of the plans of the Master Chef. But when we get down to it, no matter how difficult it is to be prepared, I would far rather trust the Chef (God, obviously) to make me into a macaron, or a soufflé, or an omelet or a mousse than to sit comfortably in my carton and become nothing more than a rotten egg. If you are in the midst of being prepared, don’t worry! You have no idea what kind of a masterpiece the Chef intends for you to become. 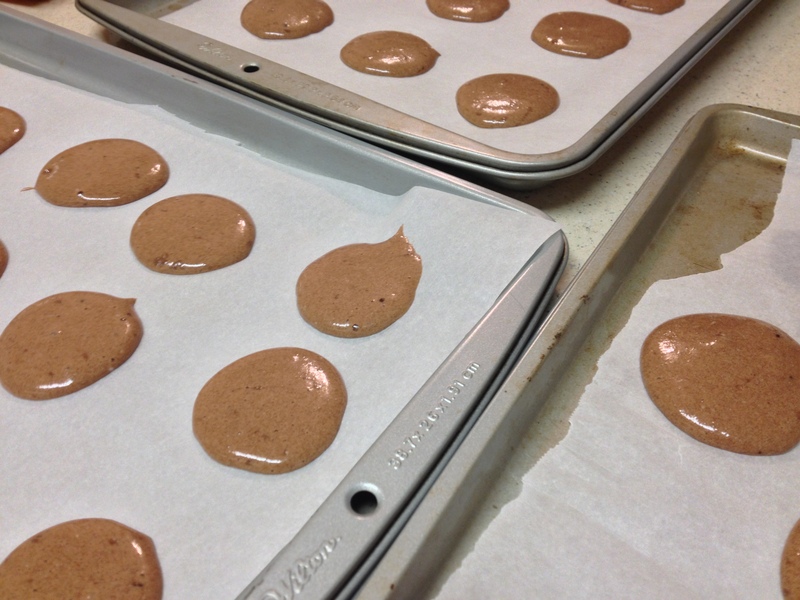 Now, on to those macarons! This recipe is meant for you, home baker extraordinaire! You may not be a professional chef and you may think all things authentic and French take a long time (who am I kidding…they do. But I would just be mean if I told you that you should never EVER settle for serving something less than a finished product you could sell in Paris). What am I getting at, you ask? Basically, make this recipe. If your cookies don’t have feet or are a little flat or have too much chew or too much crunch…well I bet you a million dollars everyone who eats them won’t even have time to laugh at you because their mouth will be full of the very last cookie. Before you blink. 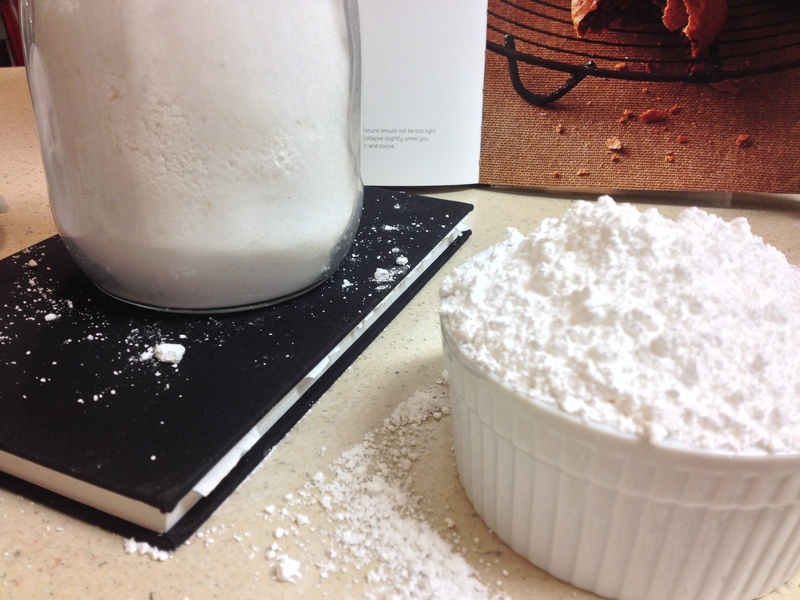 Combine the powdered sugar, almond flour and cocoa powder in a medium bowl. Whisk until there are no lumps and the mixture is well distributed. With an electric mixer, beat the egg whites until a stiff peak forms. Add the superfine sugar and beat an additional minute. Stir in the sugar/flour mixture. 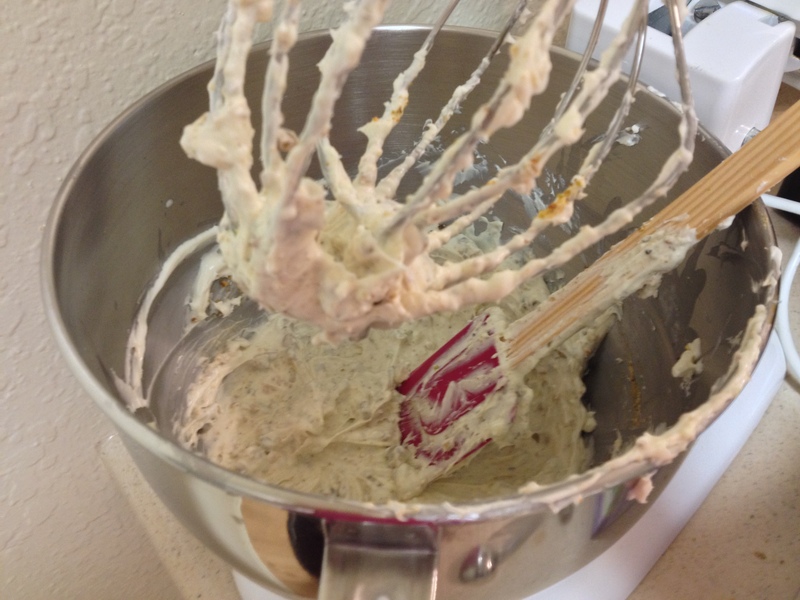 Let the egg whites collapse a little when you do this, it will allow the tops of the cookies to be glossy and smooth. 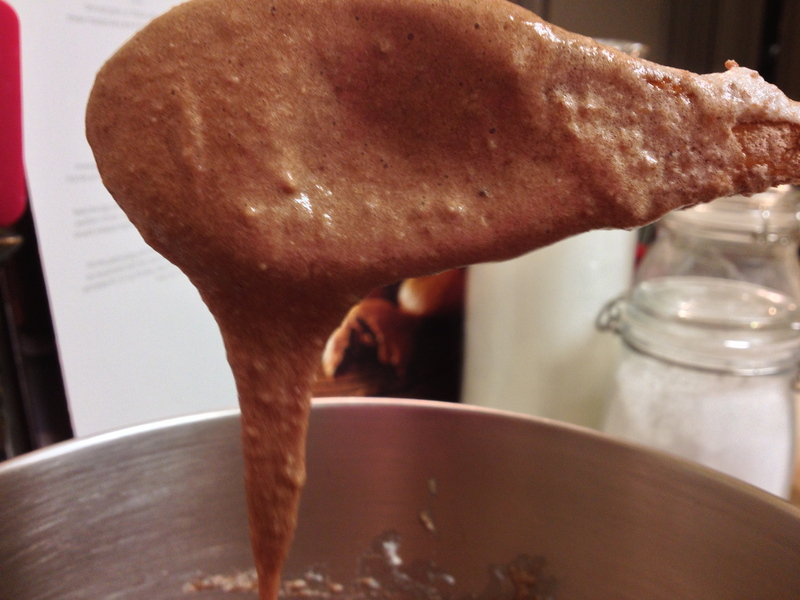 Stir until the mixture forms a “ribbon” when you pour it off of a wooden spoon (see picture). Pipe sand-dollar sized circles onto a parchment-lined baking sheet. 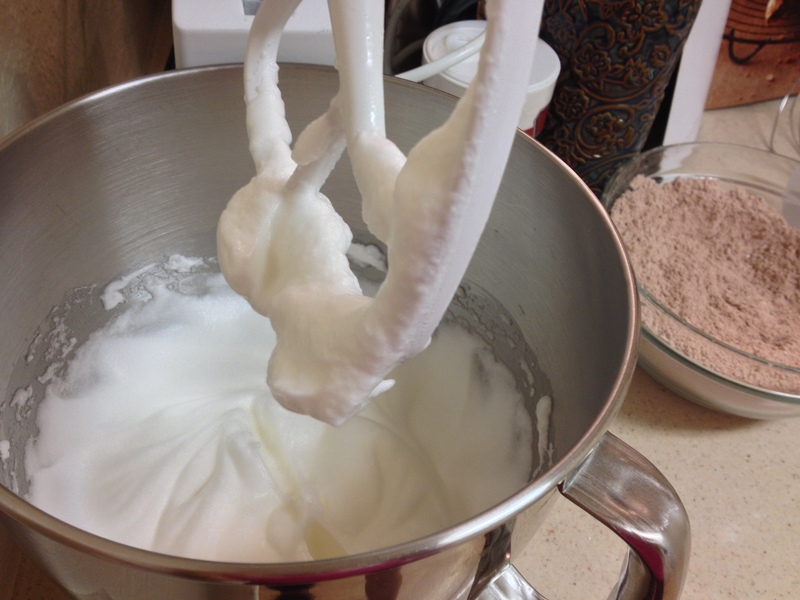 Whip the cream cheese and whipping cream together for 5-7 minutes or until the mixture is fluffy and smooth. Add the 4 Tbsp sugar and beat for another minute or so. 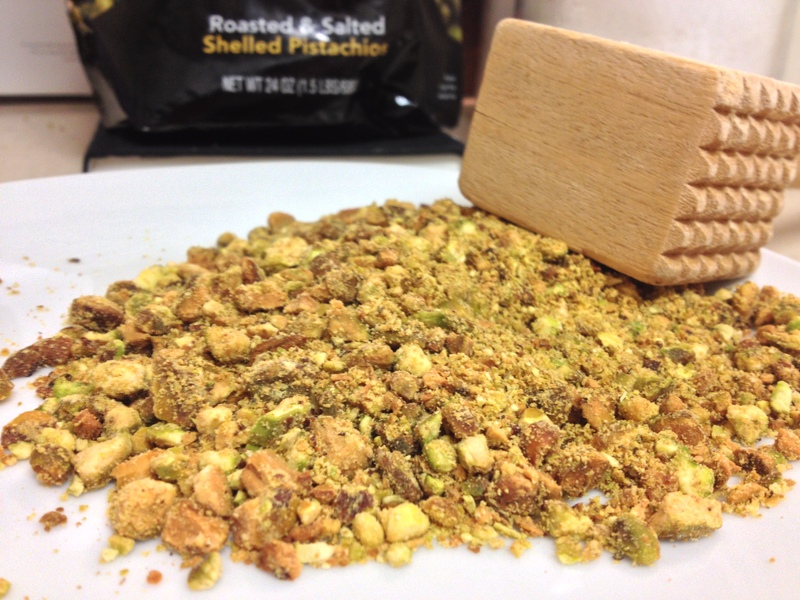 Add the pistachios and mix just until combined. Remove the cookies. Allow them to cool, then gently loosen them from the parchment paper. Pipe the filling onto the bottom of one cookie and sandwich the filling with another cookie. Sandwich them all! Eat immediately or refrigerate until it’s time to eat them immediately.